I’m writing this post sitting at the kitchen table whilst on holiday in Turkey. It’s set to be stormy for the next couple of days so I thought why not make the most of being stuck indoors and write a blog post? I honestly love these round up / favourites posts but for some reason I rarely write them. Well here we are, I hope you enjoy my Autumn loves! This absolutely stunning golden hued kitchen is what interior dreams are made of. Just look at the brass (or maybe copper?) cabinets! This Friendsgiving tablescape is just so pretty. I love the fall colour scheme and the little touches, like the split open pomegranates and little notebooks as place settings make all the difference. This naive still life sketch by Albert Riera Galceran is so lovely. I can see it on my wall at home! Plus I love the pale coral colour. 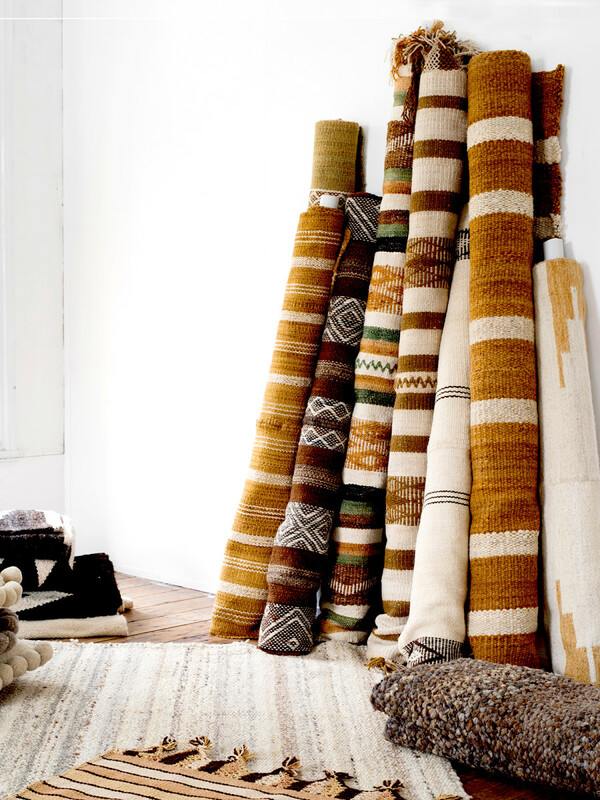 I’ve always loved Pampa, especially their rugs. One day when I have lots of money I’ll buy one. Or better yet, I’ll fly to Peru myself! Clearly I have a thing for kitchens at the mo but this mudroom is gorgeous. I love the dark green colour and the old traditional sink. I love this very natural and old timey mantle display, I need to get my hands on some gourds! It’s halloween themed without being too spooky or silly. I’ve wanted a suede jacket for ages and I love this rusty orange one, just the thing for an Autumnal transitional wardrobe. The orange and peach tones in this landscape painting perfectly compliment the sky. I just love that colour combo! I’m looking for more paintings for our flat and this one by Carrie Shryock is lovely. I can’t wait to go home and re-create a scene like this one. How cosy does Lindsay Marcella’s living room look? I could just have a nap there. I may have to plan an Autumn picnic in Hampstead Heath like this celebratory one. Those spiced apple ciders look delicious. Not strictly Autumnal but I’ve been looking for a new basket bag, I’m very envious of this beautiful selection! Make sure to have a look at my Autumn Style Pinterest board for loads more Fall inspiration. I'm really loving all those peach and soft orange hues at the moment.